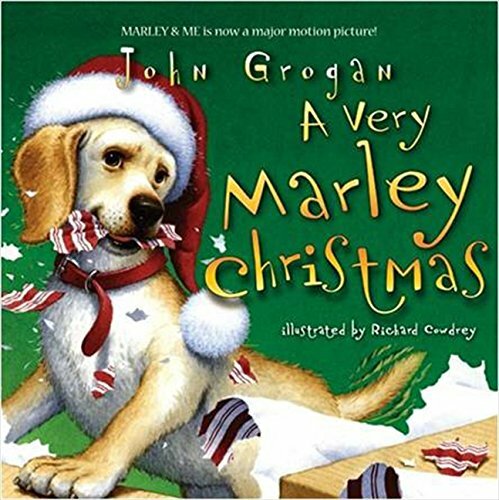 Marley is back in this festive picture book about the World's Worst Dog, inspired by John Grogan's bestselling memoir, Marley and Me. With all the excitement of Christmas approaching, it's no surprise that Marley, the loveable pup with a nose for trouble, wants to get in on the action. Anticipating his very first snowfall and Santa's arrival, Marley jumps in to help his family every way he can. But Marley, being Marley, always ends up on the wrong side of right. It's not long before Marley tears down the twinkle lights, attacks a chain of paper snowflakes, and mistakes the Christmas tree for...well...his very own indoor bathroom! Will Marley's good intentions ruin everything before Christmas begins? Or will he manage to share some Christmas magic with his family after all?